Just saying....use local businesses more and we all benefit. The money spent stays in the LOCAL economy and is spent on other local businesses - helping generate more local jobs and benefiting the community. The summer holidays are fast approaching. While the kids are at home driving you (or their grandparents) mad over the next 6 weeks you can get your revenge by making them sit quietly for 30 minutes while getting an eye test! 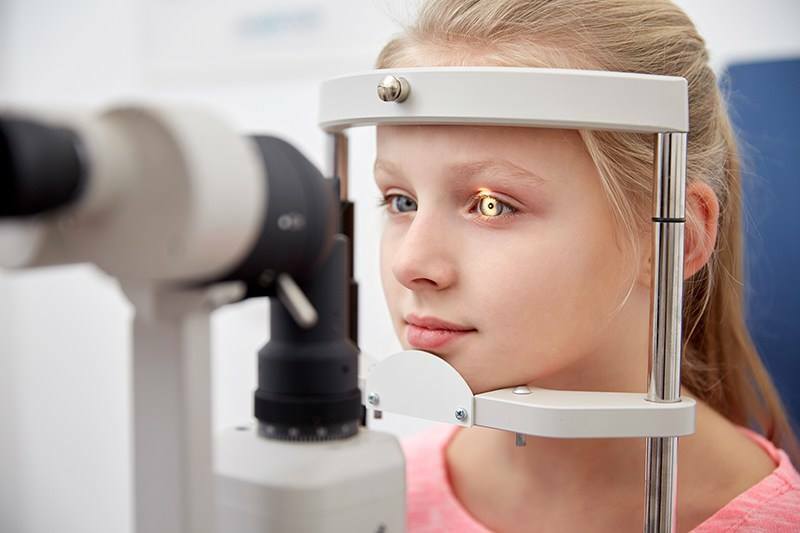 Joking aside, recent statistics show that around 70% of children under 16 in the UK have never had an eye test. Eye tests are free under the NHS and and it gives you peace of mind that they've been checked out and any underlying problems identified. And if you're going to get them tested, it makes sense to have them tested thoroughly in a friendly and peaceful environment. Call any of our branches and we'll aim to find a date and time that suits you. And you'll get a nice cup of tea or coffee and half an hour of peace! Someone we know lost their specs and couldn't find them for 4 days. Searched the house...car...everywhere. They were eventually found...in the garden. Where she'd left them. Another day, another great customer testimonial. "I would like to thank Phil at Specs2U for the excellent service provided. After an eye test with a rival High Street chain I was told my eyes were fine and they would see me again in a year. They were wrong. I had an appointment with Specs2U and they found something which had been missed by the High Street chain. This is now being treated. I have been extremely happy with the service and advice I have been given. I can't praise Phil and his team at Specs2U enough. I have no hesitation in recommending Specs2U to friends and business colleagues alike"
Tom Watson, Director at Optimia. We do a lot of reglazes for our customers. Nearly 30% of the jobs we do reuse people's existing or old frames. But many other opticians either refuse to do it or charge so much for doing it that the customer decides to buy a new frame (which is probably what the optician wants them to do). Our view is different. In this age of recycling we have no problem reusing old or existing frames. As long as the frame is in good condition then we're happy to use it. This keeps our customers very happy. Rather than throwing away a perfectly good frame, they get to reuse it - and save money on the process. Its a win win. Sunglasses tint guide (so you know what to ask for when looking at sunglasses). Note that many High Street opticians may not give you a choice however! Light transmission is how much light gets through the tint on the lens (in % terms). The lower the class, the more light gets through (and the less UV protection you have). Class 0 and 1 provide NO UV protection (this includes the lower portion of a graduated tint). Class 0 : 80-100% (clear) - use indoors or on overcast days. No limitations. Class 1 : 43 - 80% (light tint) - use for low sunlight. Class 2 : 18 - 42% (medium tint) - medium sunlight. Class 3 : 8%-18% (dark tint) - bright sunlight. Class 4 : 3 - 8% (very dark tint) - exceptionally bright sunlight. Not suitable for driving. Polarised lenses are usually around 15% absorbtion. All our customers are stars to us - but sometimes a real-life star comes into Specs2U. Ricky Tomlinson and his lovely wife came to Specs2U for an eye test and new specs. We did Ricky's new reading specs in 20 minutes! He's just like you'd expect him to be - down-to-earth, charming and cracking jokes. A real gentleman. There are some lens coatings that provide anti-fogging and under 'normal' conditions, they work quite well. You can get also sports glasses with special anti-fog lenses. You can buy anti-fogging wipes - these basically create a layer between the lens and the outside world. Other suggestions are a drop of shaving foam or soap wiped over the lens and 'buffed off which do the same as the anti-fogging wipes. However, soaps with microgranules in them could damage the lens and we wouldn't really recommend any of the above. However, in the extreme weather we have at present, nothing is going to be much use. Stepping from a very cold environment into a warm house, car or office is going to make them steam up regardless! A quick wipe with a good lens cloth will take the surface moisture off the lens and help warm the lens up and so reduce the incidence of condensation. But do not attempt to drive until your lenses are clear! Project Australia. You won't have heard about it but it was successfully completed. An Ellesmere Port customer came to us with a problem at the start of the year.. A relative had died in Australia and the funeral was scheduled for a week's time. Coincidentally his son also lived in Australia so he was going to spend a week in Adelaide and attend the funeral then spend the rest of the month in Sydney with his son. But his glasses were broken and the repair to the frame and the time to replace the lenses would be finished after he was due to fly out - and he couldn't do without his specs! So we made him a cheap pair to use temporarily for the journey while his main pair were being repaired. We then sent the main pair all the way to Adelaide do he'd have them for the majority of the trip. The customer came in today to tell us all went well - where he was staying in Adelaide was a bit off he beaten track so the 'postie' just left the package on the front porch (so much for 'Signed For' delivery! They got there safe and sound however and he got full use out of them 'Down Under'. Would your optician do that? After having a couple of people coming onto the branch with broken glasses this week, a word of advice. Do NOT attempt to fix your glasses using superglue (or any other glue for that matter). Superglue can wreck the coating on your lens and is also very hard to remove once on. In addition, the fumes can be an irritant to the eyes. When used on the frame it can prevent the arms from folding and also clogs up screw holes (meaning that old screws cant be removed or new screws put back in). The residue left usually means that replacement lenses can't be put back either. If you have a loose screw in your specs get an optician to put a new screw in - don't glue one in! The best bet in the event of a broken frame to take the specs to your opticians first. Usually metal frames can be repaired and / or the lenses put into a new frame. They can at least advise what to do next. And you won't glue your fingers together either! Just booked a lovely lady in for an eye test. When I asked her how she'd heard about us she said she'd been recommended by a friend. She then asked if anyone where she works knew about us and had a glowing recommendation (apparently) from one of her work colleagues. She then decided to check us out on our website and as a result of that (and reading some of our customer testimonials) she decided to give us a go! We've obviously set the bar high! I hope we can live up to her expectations but its great to now how well thought of we are in the local community! A little celebration this week - Ellesmere Port branch has now been open 5 years. Is it a coincidence? Twice in the space of two days (in separate branches) we've had darts players in who are struggling to play their favourite sport as their eyesight has deteriorated. Clearly their distance vision has depleted slightly. This happens to most people as they pass 40. The solution is obvious - get a decent eye test and a pair of glasses (usually with only a minor prescription) and sharpen up your vision. We can't hep you play darts better, but at least you'll see clearly where they land! "Thank you for all you have done to help us. My son absolutely loves his Migratech lenses. He said it took a few hours to adjust but then everything became more crisp and defined. The fatigue he experienced due to his dyslexia is no longer an issue. He is thrilled with the difference these glasses make. Sincerely-Terri"
That has given me the biggest smile I've had this week. Amazingly, while in Sainsbury's I bumped into another couple of my customers - and we chatted for about 5 minutes about holidays, glasses (obviously) and family. Again it shows the type of relationship we enjoy with our customers - you are certainly not just a name and number at Specs2U. We're on first name terms with many of our customers and some pop in for a cup of tea and a chat when they're in the area. Indeed many book their eye tests by popping into the branch in person rather than just calling on the phone. I'd like to think its for my sparkling personality but I suspect its my tea and coffee making ability. A testimonial from Mike Brougham of Kitchcleanse. "We recently used the services of Specs2U with reference to my mother who was suffering from cataracts. Specs2u's professionalism, knowledge of the job and speed of service has been excellent from when we first contacted them right though until the completion of treatment. The appointment was given very quickly which was welcome and has led to the surgery of my mother taking place sooner than we expected with very positive results. I'd like to thank Phil and his team for pushing this through for us, avoinding any lengthy delays. I would recommend Phil and Specs2U to my contacts and any of my clients. Specs2U deliver excellent service at a competitive price. Thank you very much Phil".